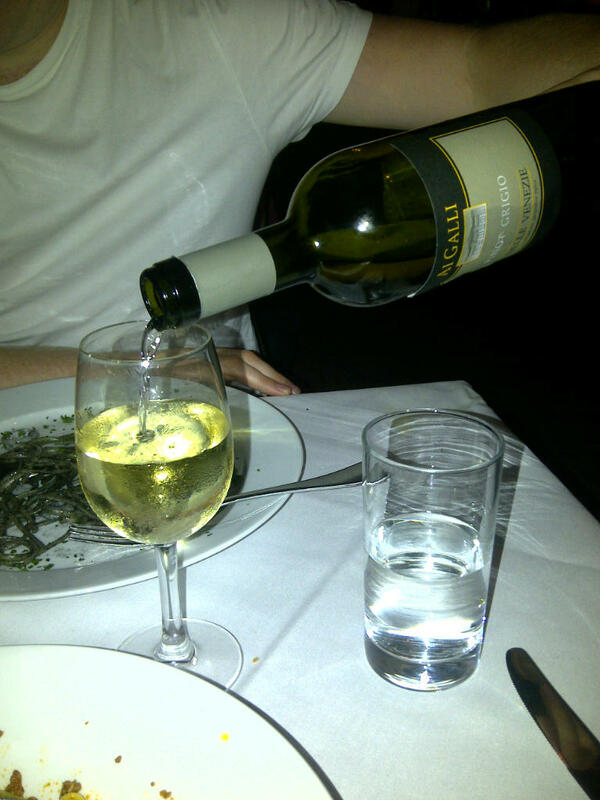 Sometimes you just can’t beat a Pinot Grigio….. Working in the wine trade, you can often become a bit too bogged down with the nose, palate, body and finer nuances of a wine, rather than simply enjoying it for what it is. Swishing the wine around your mouth in that annoying way only winos know how, you can sit there for some time debating whether that hint of stone fruit is peach or apricot, the citrus notes are of lemon or lime and, hmmmm, what’s that berry fruit you detect – is it raspberry or strawberry? Well, on this occasion, I’m going to say: who flippin’ cares? As long as you enjoy the taste, that’s all that matters surely? This idea recently came to light while out for dinner at the family-run Italian restaurant Antonio’s, located just off Upper Street in Islington. Wanting to keep our Saturday night dinner out simple and relaxing, my boyfriend and I picked Antonio’s after seeing its high score rating on Toptable. Stepping into the intimate, quietly bustling and candle-lit restaurant, we knew straight away that this was what we were after – screw haute cuisine, we just wanted a bloody good feed with tasty grub and this is what we got. Although I like to think I’m no wine snob (I drank Asti in my student days for goodness’ sake), I rarely choose Pinot Grigio in a restaurant if there are other options on offer. 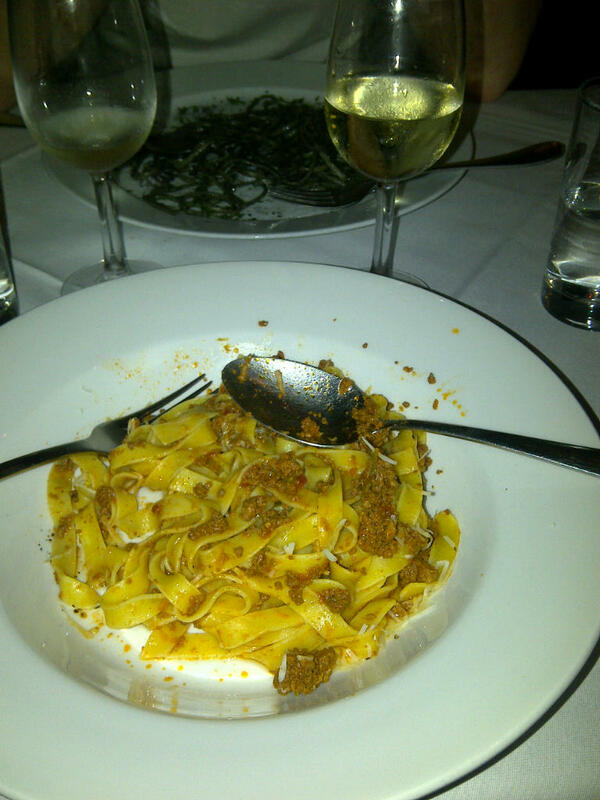 However, this time, given the old-school Italian nature of the restaurant interior, we decided that the house Italian Pinot Grigio was exactly what we were craving and it slipped down like a treat. Whether it was the relaxed atmosphere, the tasty food (or more likely the half a bottle of wine I drank), I really did feel as if we were on holiday which provided a much needed three hour relief from the often stressful streets of London. This was a simple, crisp Pinot Grigio displaying typical aromas of pears and citrus fruits (was that lemon or lime?!) and, putting the wine in context alongside the environment within which I drank it, was one of my most enjoyed bottles to date this month – not bad at all really for a house bottle of white.